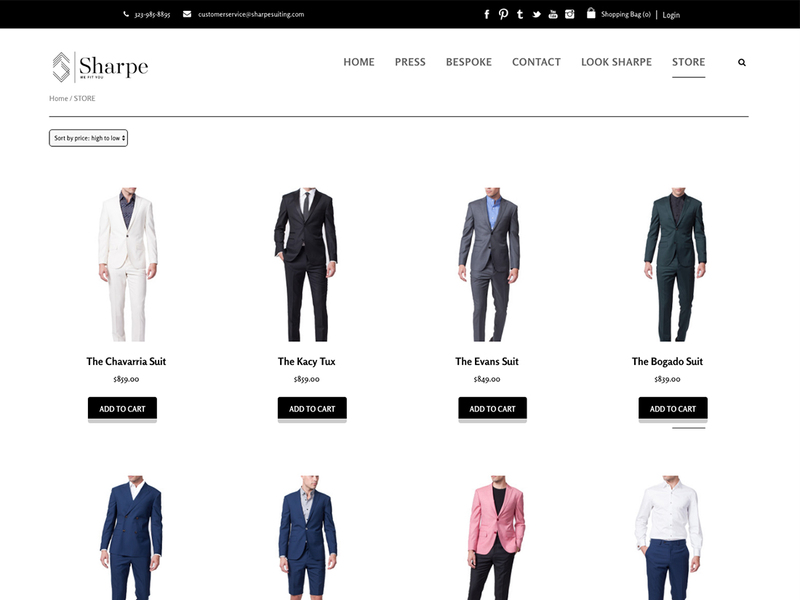 Problem: Sharpe Suiting is a West Hollywood custom apparel designer with the mission to dress both men and women in premium attire that’s meant to wear everywhere, from the office to the red carpet. They came to Pixel hoping to create an interactive online experience for their customers through a cutting-edge virtual tailor experience. They needed help designing graphics for their site that aligned with their mission that men, women and everyone in between can dress to impress in a fashionable suit. In the process of revamping their website, they asked us to assist them in establishing their brand voice, establishing a digital strategy and creating content to drive their voice in the social media world. 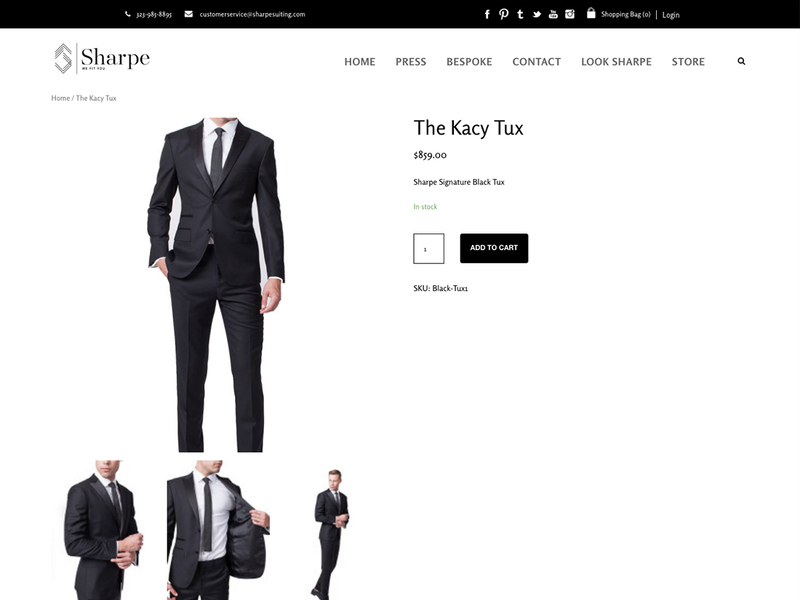 Solution: Pixel took Sharpe Suiting’s vision and created graphics and content to communicate their mission more effectively on their website and push the brand via social media channels. 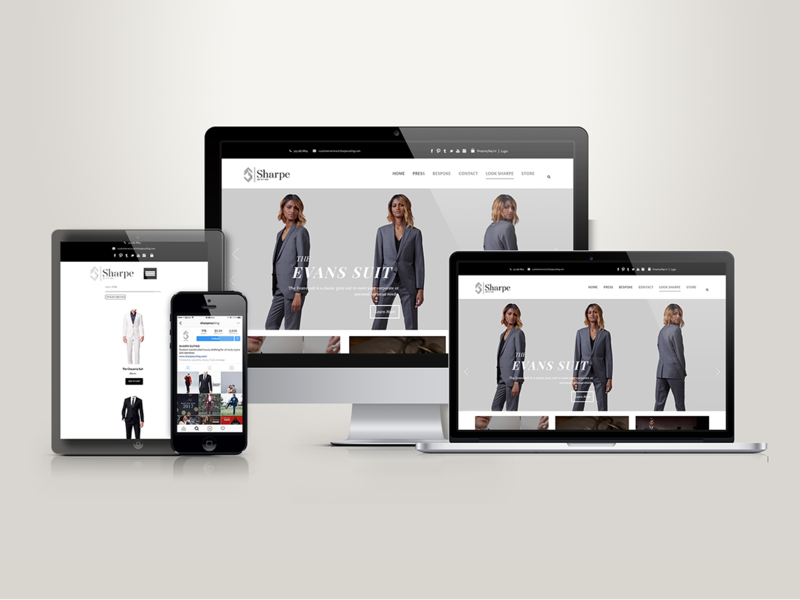 Within the e-commerce site, we designed fashion-metrics images for the virtual tailor technology, edited the graphics for product shots and cover photos and installed and tested the API system Stripe to improve the checkout process. Our team also assisted in branding the company, creating the tagline “Don’t Fit In | We Fit You” and devising a digital strategy to push the virtual tailor experience by creating PPC ad campaigns and fresh, edgy social posts.